David Clarence Boon MBE (born 29 December 1960), nicknamed Boonie, is a former Australian cricketer whose international playing career spanned the years 1984–1996. A right-handed batsman and a very occasional off-spin bowler, he played First-class cricket for both his home state Tasmania and English county side Durham. Known for his portly figure and distinctive moustache, Boon scored over 7,000 runs at Test level, and made over 100 appearances for both the Test and One Day International Australian side. After leaving the international game he went to England to captain Durham before retiring to become a national selector. 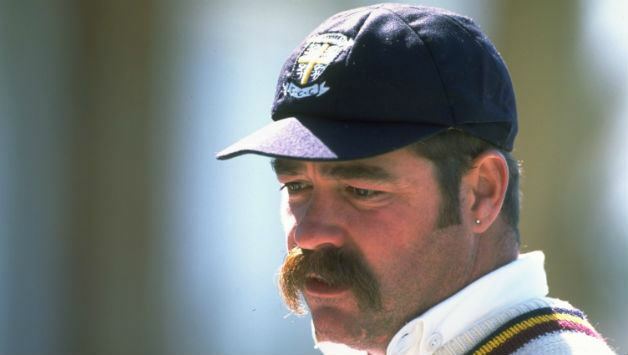 The son of Clarrie and Lesley, David Boon was born in the Northern Tasmanian city of Launceston on 29 December 1960. His younger sister Vanessa was born in 1964. His father Clarrie worked in a newsagency in Launceston, while his mother Lesley represented Australia at hockey before working with Clarrie at the newsagency after David was born. When David was approximately six years old his family moved from South Launceston to a house connected to his parents newsagency in the Launceston central business district. The family returned to South Launceston when David was attending the Launceston Church Grammar School. Following his retirement from international cricket, Boon continued playing for Tasmania and signed to captain Durham in the English county championship. He led the team in three seasons between 1997 and 1999. He played the last of his 139 first-class games for Tasmania in the 1998–99 season, in which he scored 9,077 runs at 41.44 average with 22 centuries. In all he led Tasmania 57 times for 13 wins and 25 losses. Boon was formerly a member of the Cricket Australia selection board, along with Merv Hughes, Andrew Hilditch and the newly appointed Jamie Cox. In May 2011 it was announced that Boon would be standing down from his position on the selection board, and as general manager of Cricket Tasmania, to become an ICC match referee, replacing Alan Hurst on the ICC Elite Panel. He made his test début as a match referee on 1 September 2011 in a one-off test between Zimbabwe and Pakistan at Bulawayo. Nicknamed Boony, the stocky, moustachioed batsman became something of a cult figure for his colourful character.